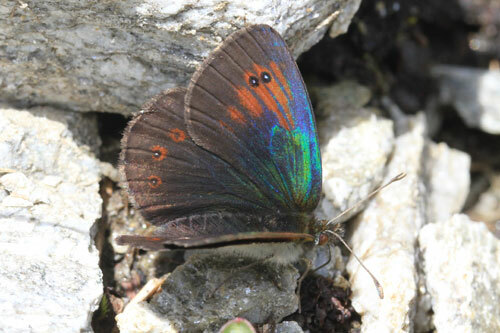 This species is found in Switzerland and neighbouring mountains of north Italy where it is widespread and common. 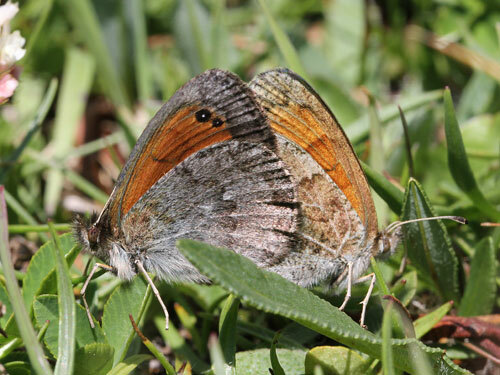 Identification & Similar species: The brassy ringlet group is very complex with 6 similar species in Europe. 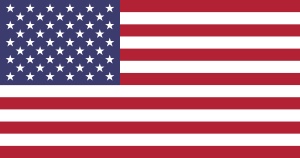 They never(?) 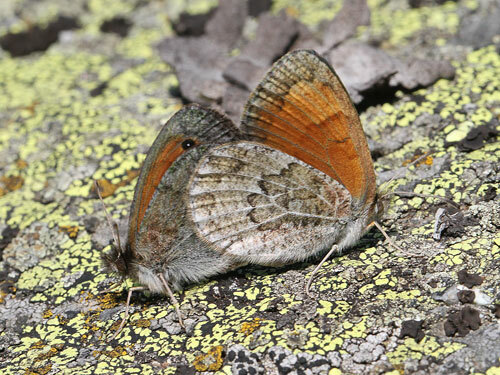 fly together, although they may fly in close proximity, being separated for example by altitude. 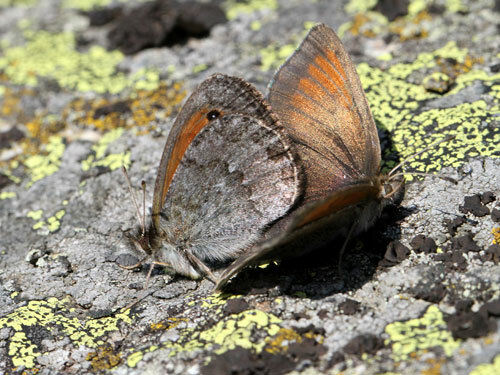 Species with overlapping ranges are listed below. 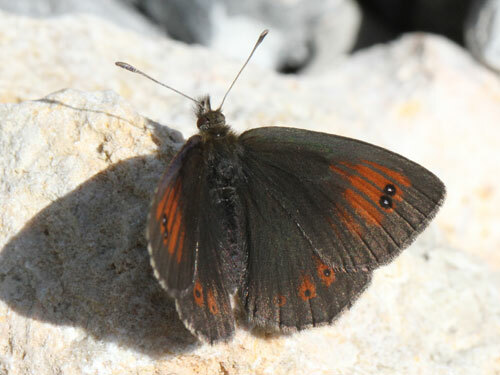 In west Switzerland and northeast Italy and Austria the common brassy ringlet E. cassioides flies. 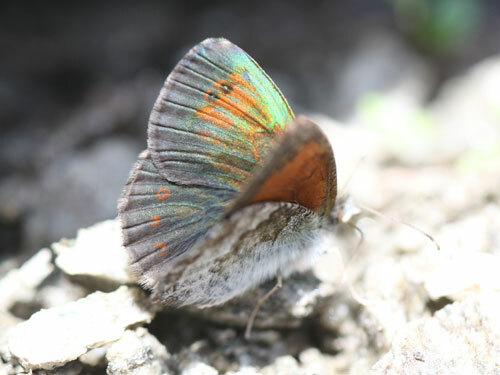 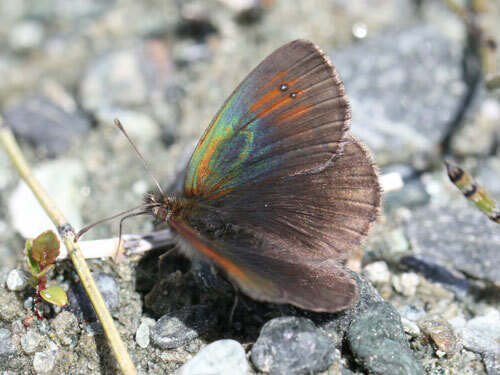 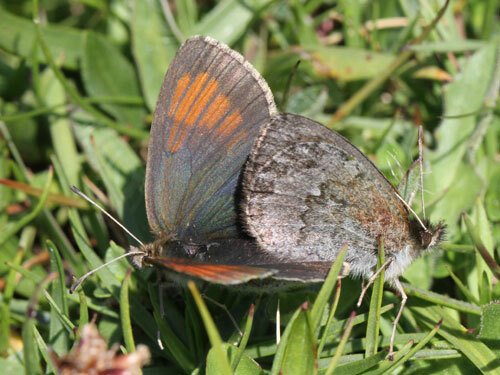 That species has spots on the hindwing upperside, less orange on the forewing and a less contrasting underside hindwing. 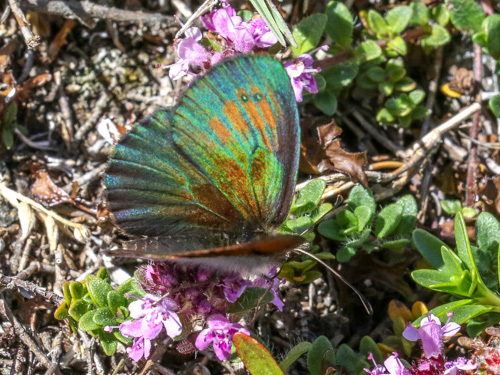 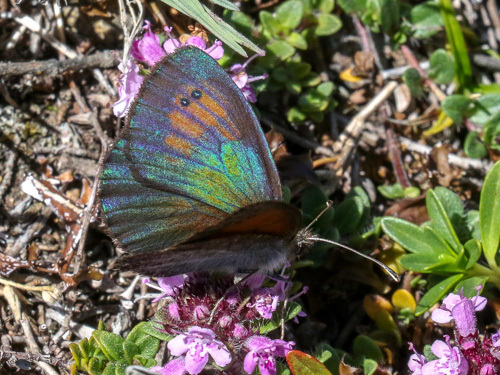 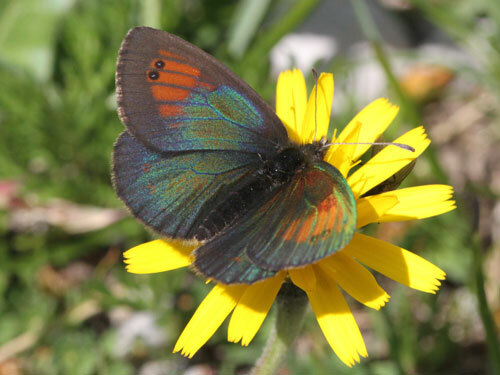 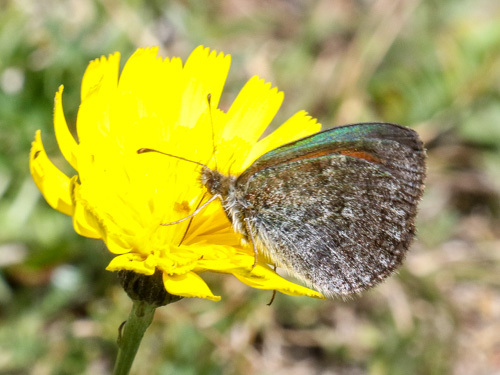 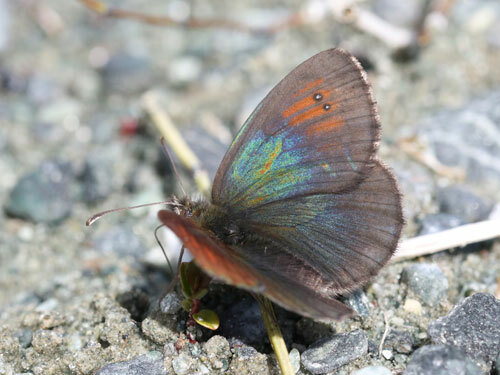 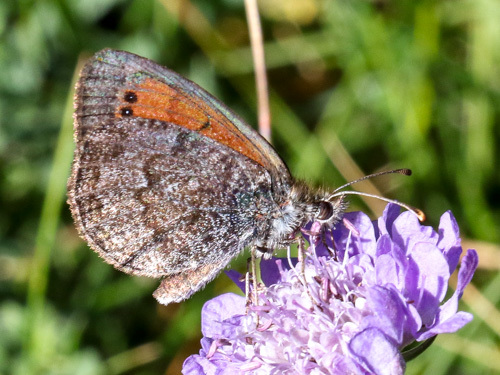 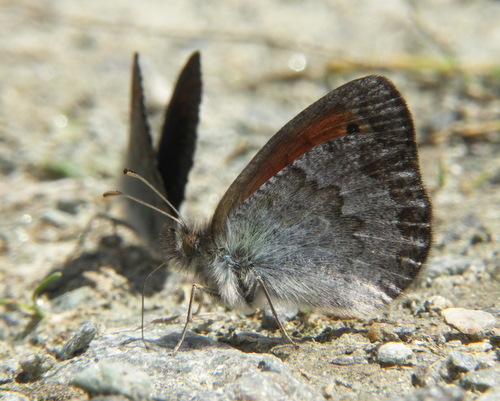 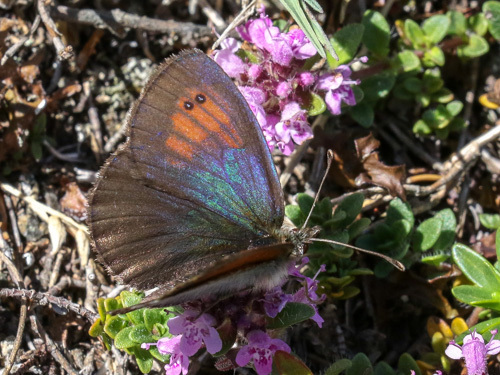 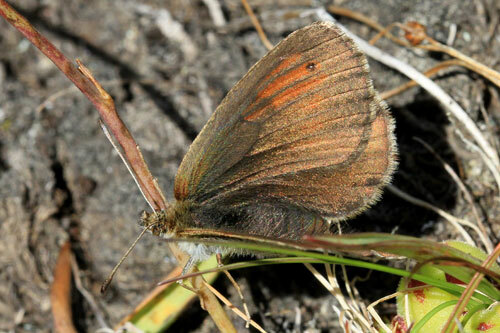 In the Grindelwald region of Switzerland, the de Lesse's brassy ringlet E. nivalis flies. 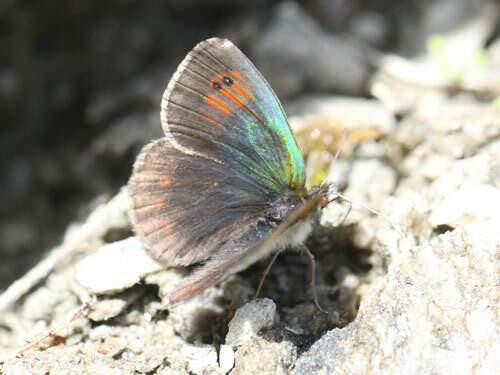 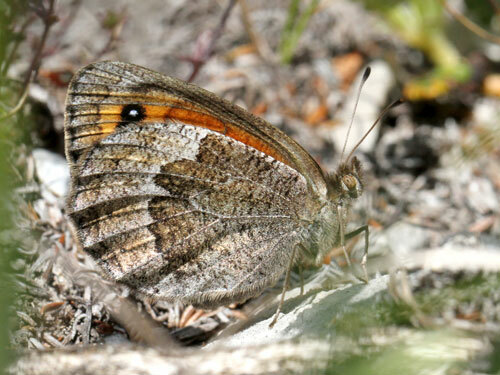 It has spots on the upperside hindwing and darker orange-red upperside markings which extend to the outer edge of the cell. 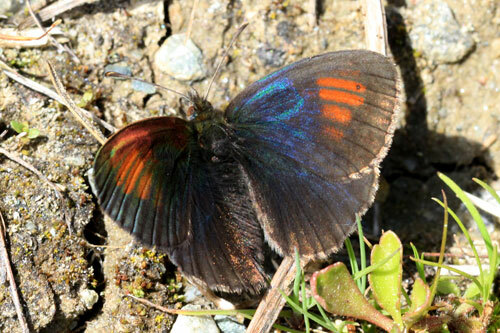 Distribution & Flight: This species is found in Switzerland and neighbouring mountains of north Italy. 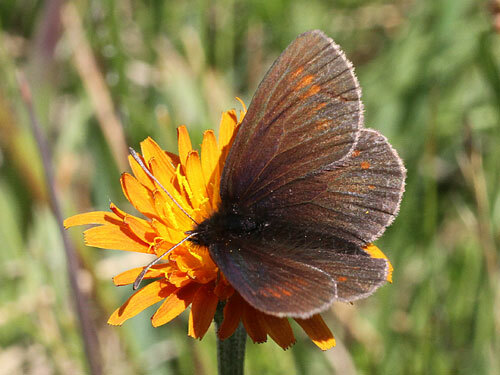 It flies in July and August. 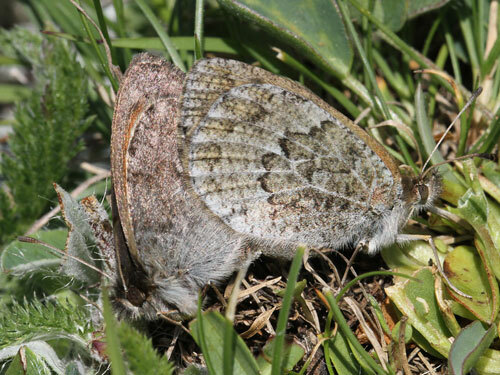 Habitat & Behaviour: Grassy slopes with stones and rocks at alpine levels. 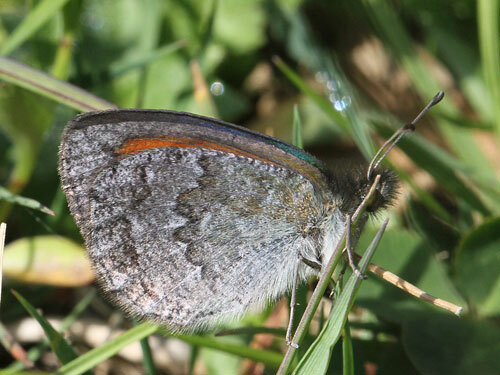 Clearings at lower levels below the tree line.